The annual instalment of the UK's premier rock and metal three-day event, Download Festival, just got an awful lot more exciting for wrestling fans. Already, Tripel H and NXT were announced as in attendance, with a host of the promotion's talent - including Aleister Black, Adam Cole, Velveteen Dream, Ricochet, Nikki Cross, Shayna Baszler, Kairi Sane and The Undisputed ERA featuring Kyle O’Reilly - competing in Donington. And now, even more wrestling has been announced for the bill with the festival also playing host to the First Round of the WWE UK Championship Tournament. Featuring 16 competitors from our fair shores, the tournament will then continue at London's Royal Albert Hall on Monday, June 18th and the winner will go on to receive a title match against WWE U.K. Champion Pete Dunne the following day. It's a prestigious opportunity and a unique one given the setting for the first round. Download Festival runs from the 8th to the 10th of June at Donington Park, just outside Derby. And it's a hell of a setting for some competitive pro wrestling. 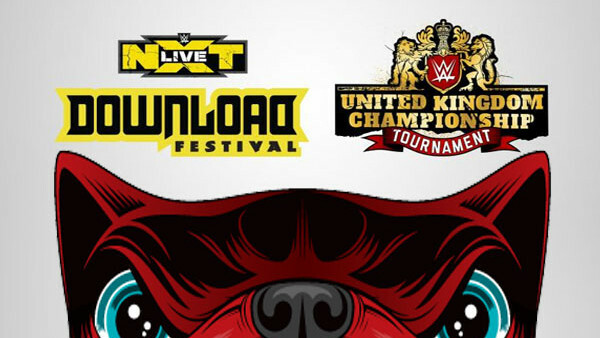 Tickets for both NXT at the Download Festival and the Royal Albert Hall events are on sale now. Head to www.downloadfestival.com/tickets for tickets to Download Festival, and check out www.bookingsdirect.com and www.livenation.co.uk for ticket information for the June 18-19th events at the Royal Albert Hall.